To carry through on yesterday’s theme, here is an impressive shrub from the nut family. A member of the Anacardiaceae (cashew or sumac) family, the Staghorn sumac, Rhus typhina, is a native plant growing throughout New England. 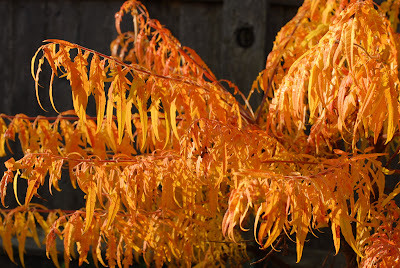 I mentioned sumacs in a previous blog as a versatile plant that offers spectacular fall color.